People obsess about dieting. Which one should I try? How quickly will I lose the weight? How easy will it be to follow? Can I cheat? Do I have to exercise? How much will it cost? I’m just going to cheat tonight because it’s a special occasion (insert wedding, birthday, St. Patricks Day, Just bought new shoes day). I’m too busy. I’m too tired. I’m too lazy. I like food too much. If you’ve followed my blog you know that I don’t promote dieting at all. What I do promote is a change in your diet or a new nutrition plan if you will. A switch in the “I live to eat” way of thinking to the “I eat to live” approach to nutrition and diet. Switching your thinking from food as fun, to food to promote health. As a society we don’t take action on most things until there’s a crisis. Earthquakes, wars, drunk driving laws, seat belts and airbags, cancer, heart attack, diabetes (stop me or I could go on and on). People don’t take control of their health to prevent crisis, they wait until something happens that scares them into taking control and often times it’s too late. I even know people that have had quadruple bypass surgeries that think they now have a new heart and can start eating whatever they want because the damage will be so far down the road they'll never be around to experience it. Sure, flawed thinking but the drug and allure of food can be so powerful that even nonsensical logic seems logical. A large shift in the way we look at nutrition is necessary to make big changes in our way of thinking about food and health. I have a funny video on my blog that shows the different diets that people follow and their creators. People don’t stop and research the people that create fad diets or the diets themselves. Are they healthy? Do they follow their own advice? How did the diet come about? Are they doing this to make money or help people? All legitimate questions but all too frequently overlooked! If you follow the Whole Foods Plant Based (no added oil) way of eating you will more than likely (1) lose weight, (2) lower your cholesterol (3) regulate your blood pressure (4) have more energy (5) stabilize your blood sugar (6) possibly get off all of the drugs you were on for things listed above (7) prevent and reverse heart disease (8) save money on food (9) save money on doctor bills (10) stop or prevent cancers and on and on…..
It’s so easy to go to the doctor and get drugs for just about anything. Statins for cholesterol, drugs for acid reflux, treating blood pressure with diuretics or other medications, controlling your type 2 diabetes with insulin, pain relievers for migraines and arthritis etc., but these are Band-Aids not fixes. 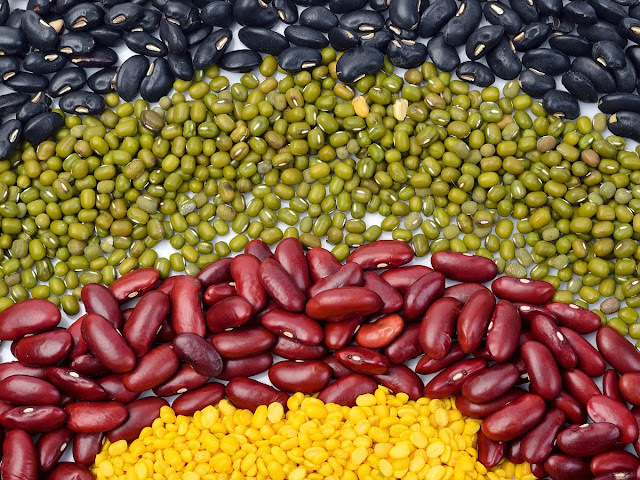 Give eating healthy plants, beans, grains and fruits a try for 30 days and see how you feel. It took you years to get to the health and weight that you’re currently experiencing, so what’s a month of learning something that will probably save your life worth to you? There are lots of recipes here along with links to other blogs and reading material that will point you in the right direction. Do your own research and stop complaining about dieting! Dr. McDougall in The McDougall Newsletter states when talking about high protein, low-carbohydrate diets: "The truth is that the rich Western diet makes people fat and sick. Steering people away from the few healthy components of our diet (grains and other starchy vegetables) and toward the unhealthy foods (meat, dairy, fish, and eggs) makes matters worse. People are desperate for a solution to their weight and health problems, and many of them are easily deceived. Especially when told that prime rib and cheddar cheese are good for them—people love to hear good news about their bad habits. 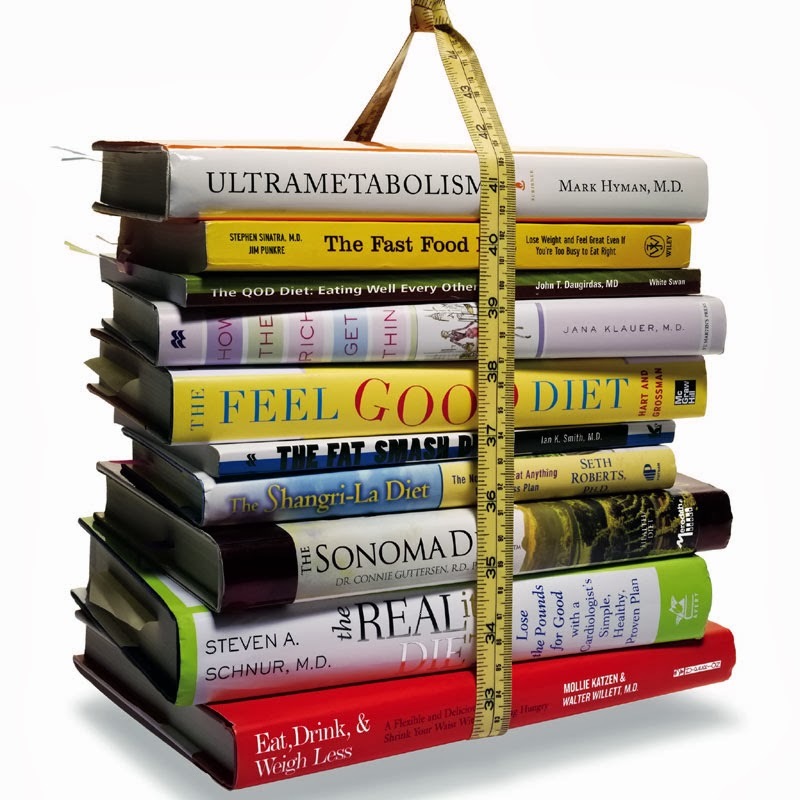 Just as important for the rising popularity of low-carbohydrate diets, books like Wheat Belly and Grain Brain enhance the profits of the meat, dairy, egg, and fish industries". Everyone obsesses about Whole Foods, Plant Based nutrition plans lacking protein. These are just a few foods that contain lots of protein. Remember, Elephants, Hippos and Giraffes all eat an entirely plant based diet and they certainly thrive on it. Give it a shot....you'll probably lose weight and gain health! These figures and photos come from an article from Natures Valley. I really love this combination of the leeks and potatoes. I didn't know if I could get the flavor I was looking for to give it a hearty, comforting taste, but by caramelizing the onion, garlic and leeks, this was so good I couldn't stop going back for more. If you've never cooked with leeks, be careful to clean them really well. They tend to have a lot of sand or dirt between the layers of skin, depending on the soil they are grown in. Also, you only use the part of the leek that is light green right below the dark green leaves and going down to the white skin. For those of you that ask me how I can eat so many potatoes when all of the other nutrition programs tell you to avoid them.....here's the truth! Are potatoes healthy? Yes they are! …and all this for just 110 calories and no fat, sodium orcholesterol. Potatoes are a vegetable. The popular tuber counts toward the total recommended servings of vegetables. One medium-sized potato (5.3 oz.) counts as 1 cup of starchy vegetables (www.myplate.gov). Overall diet quality can be improved when adults and children consume (non-fried) white potatoes. Research released in April 2011 using data from National Health and Nutrition Examination Survey (NHANES) 2001-2008 demonstrates meals that contain potatoes contain more servings of other vegetables, and are significantly higher in potassium, fiber and vitamin C.
Potatoes can be part of a weight loss regimen. Research released by the University of California, Davis and the National Center for Food Safety and Technology, Illinois Institute of Technology in October 2010 demonstrates that people can include potatoes in their diet and still lose weight. The results of this study confirm what health professionals and nutrition experts have said for years; when it comes to weight loss, it is not about eliminating a certain food or food groups, rather, it is reducing calories that count. There easy and healthy ways to prepare potatoes so they stay nutritious. Try topping a baked potato with salsa, steamed vegetables or seasoned rice wine vinegar. Consider mashing potatoes with low-fat chicken broth. Potatoes roasted with garlic, and a touch of herbs are delicious. For more great ideas, visit our recipe section. 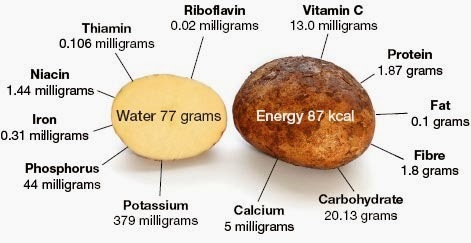 Potatoes are vegetables and they provide significant amounts of potassium and vitamin C. One medium-size (5.3 ounce) skin-on potato contains just 110 calories per serving, has more potassium (620mg) than a banana, provides almost half the daily value of itamin C (45 percent), and contains no fat, sodium or cholesterol. Potatoes are the largest and most affordable source of potassium in the produce department. Research released in September 2011, also using data from NHANES 2001-2008, shows potatoes are one of the best nutritional values in the produce department, providing significantly better nutritional value per dollar than most other raw vegetables.Both the 2005 and 2010 USDA Dietary Guidelines identified potassium as a shortfall nutrient in the diets of Americans. Potatoes add protein to your diet. Depending on their size, a potato can add 2-3 grams of protein to your diet, so have a few at a time. Potatoes are part of a healthful diet. The U.S. Dietary Guidelines have always shown that potatoes can be part of a well-balanced diet. So, enjoy your favorite vegetable!